The Emperor is back, first as a tease in the Rise of Skywalker trailer and now as an upgraded Star Wars Black Series figure. New robes, new heads with photo real tech and paint, lightning accessories and a legit throne for him to sit in. All I can say is : Good. Gooooooooooooooooooood. His pre order is up now, looks to be an Amazon exclusive for $39.99 with a release date of October 4th (sonofa!) Hit the link below to grab yours! Emperor Palpatine with Throne – Star Wars Black Series Amazon Exclusive 6-Inch scale emperor Palpatine &#187; Continue Reading. 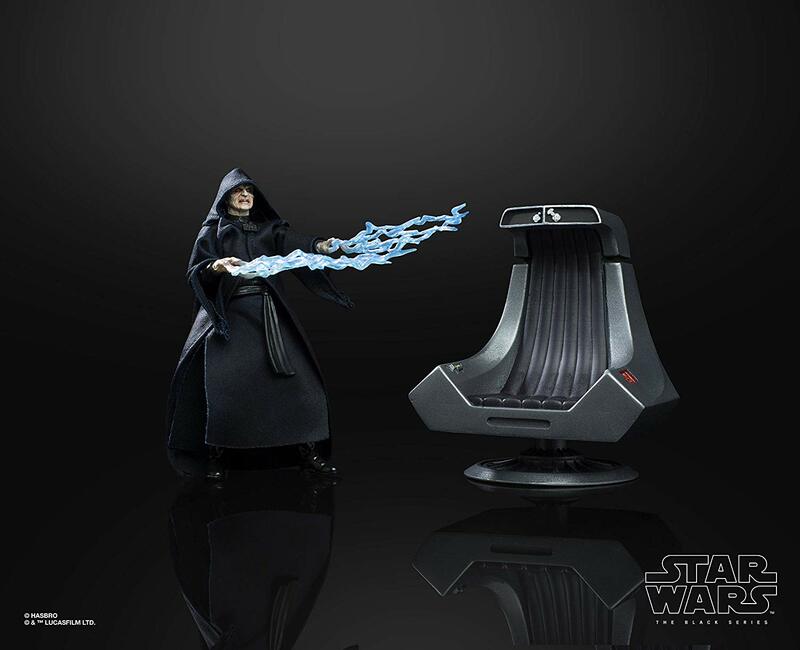 The post Emperor Palpatine with Throne Star Wars Black Series Exclusive Live! appeared first on The Toyark - News. Re: Emperor Palpatine with Throne Star Wars Black Series Exclusive Live! Ships to Canada for about $17 USD. Includes Amazon international shipping and the import fees so you don’t pay anything upon delivery. Amazon usually brings them to their Canadian site too. Not available on Amazon Canada as of yet. Last edited by Darth Cosmos; 04-13-2019 at 12:02 PM.